SENSEI MASAO KAGAWA 7th Dan. Interview By John Cheetham. THE 'SECRETS' OF KARATE-DO. By Mike Clarke. 'TIMING' and the Application of Karate Technique. By Avi Rokah. UKTKF (NISHIYAMA) Windsor Course : Report By C. & G. Harrop. 'A Question of Control' (Part Two Continued). By Dave Hooper. KENNETH FUNAKOSHI. On The Subject of Etiquette. By Ivan Chapman. 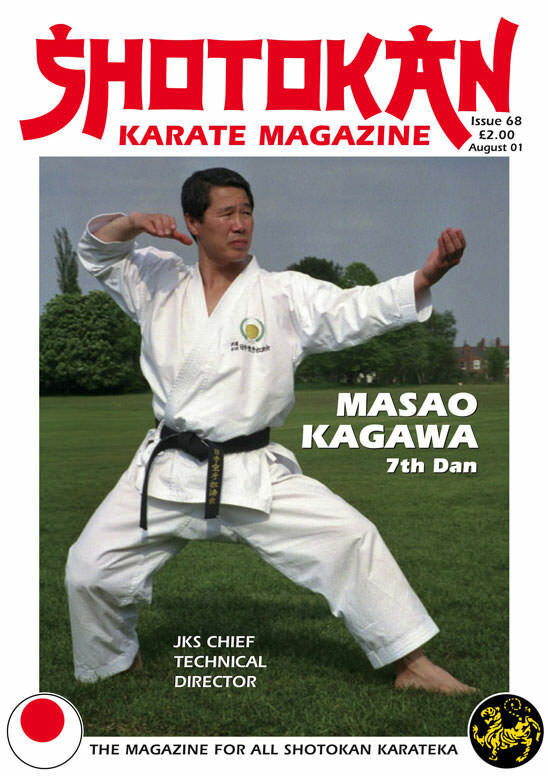 As you will see, we (SKM) invited the famous Masao Kagawa sensei over to England in May for a weekend training course, which was a tremendous success. This was a totally 'open' course to all Shotokan karateka from a huge variety of organisations. Kagawa sensei was the former JKA Kata and Kumite champion and is now the Chief Technical Director to the newly formed Japan Karate Shotokai, (Not to be confused with the JKDS ˙ Japan Karate-Do Shotokai mentioned in Harada sensei's interview). The JKS (Kagawa sensei) hombu dojo is situated in Sugamo, Tokyo, where Kagawa sensei oversees the JKS instructors training programme and also teaches normal classes at the hombu dojo. During the day he teaches karate at Teikyo university where he graduated from before entering the JKA instructors programme. Teikyo is a noted karate scholarship university where students study karate and academic subjects, it has been a Shotokan stronghold for many years. Kagawa sensei is also the coach to the national all styles JKF, (Japan Karate Federation). 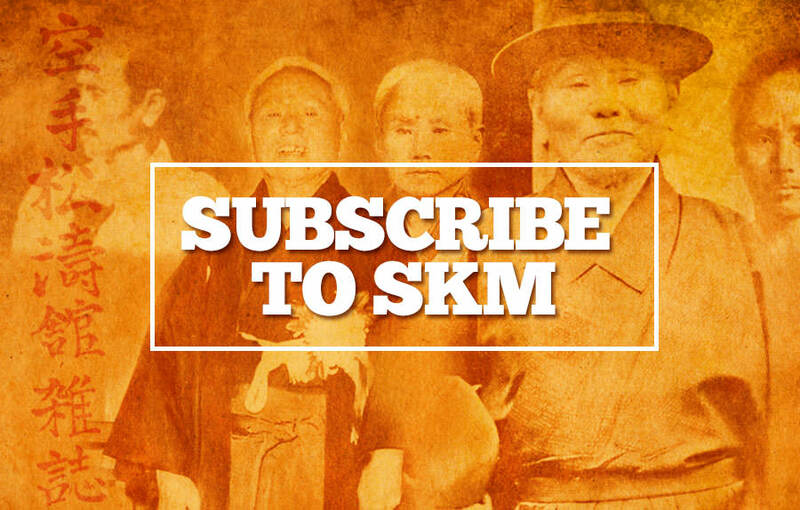 You will find his views regarding the new WKF kumite rules very interesting! Kagawa sensei's interview is a 'goody' with some great technical points and training methods to absorb. Also, an interesting point was that he talks about different types of 'kime' and he confirms what Harada sensei says about Nakayama sensei's (JKA) kime. Kagawa sensei is from the last generation of Shotokan, whereas Kenneth Funakoshi is from the previous (1960's) era and Harada sensei from the earlier, second generation of Japanese karate practitioners. In Harada sensei's fine interview, I particularly liked the information he shares regarding Yoshitaka Funakoshi, also Harada's answer to the question I personally asked, regarding 'kime'. Many martial arts (especially the softer Chinese systems) don't adhere to Shotokan's physical interpretation of kime ˙ total muscular contraction at the moment of impact. This is a very debatable point? After a one issue lay-off, Avi Rokah is back with an article, this time, (no pun intended) dealing with the mind-blowing subject of 'timing' in karate. This is a 'must read', in subsequent issues Avi will give specific physical descriptions, technical training drills and methods to develop and improve one's 'timing'. It's a subject that has sadly been neglected in martial arts literature. You can have the best technique in the world but if you don't have 'timing' you can't deliver your technique against a good opponent! As the great boxer, Sugar Ray Leonard said, "Timing is the secret weapon of combat." To set the record straight, because a 'few' people don't seem to know where I'm coming from regarding the gyaku zuki back-heel debate ˙ I personally believe that the back heel flat is the 'best' method for close range or when the attacker is coming in at you. You are then a solid brick wall to run into, you can stop a train like this! However, to dynamically lunge forward like a ballistic missile, you simply have to be up off the back heel, sprinters have proved this fact! Read Kagawa sensei's brilliant explanation regarding this highly debated topic.